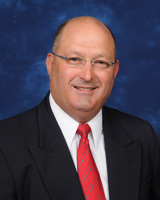 We are pleased to announce the addition of James A. Engblom, D.P.M., to the OTN Oak Ridge team. With a desire to further his medical career in order to treat patients from both a non-surgical and surgical standpoint, Dr. James Engblom, began his medical training during his already established career as a registered pharmacist. While working towards earning his medical degree at the Temple University School of Podiatric Medicine in Philadelphia, Pennsylvania, he served as Class President and was awarded the Myron Z. Bernstein Award in Practice Management. He specializes in reconstructive and revision surgery for deformity corrections, as well as acute and late onset effects of traumatic injuries. Dr. Engblom and his wife have four children and two grandchildren. He enjoys spending time with family, golf and deep sea fishing. He and his family are very active at their church and supportive of high school and sports activities of their children. Learn more about Dr. Engblom here.